Should I Buy Replacement UPVC Windows or Secondary Double Glazing? There was a time when there was no “buying UPVC Windows”, and the only option was to fit secondary double glazing. But now there is a huge choice of replacement windows in the market. The most likely situation where the question about buying UPVC Windows or Secondary double glazing can arise, is in an older property that has timber sash windows. The property you live in could also have some kind of restriction to replacing the windows entirely, such as a listed building. There are lots of such properties around the UK. Another possible situation can be where there is a lot of ambient noise outside (maybe a high street or busy road) and you want a way to make your home quieter inside. In any event, if this kind of situation presents itself to you, what is the best option, buying UPVC Windows or Secondary double glazing? 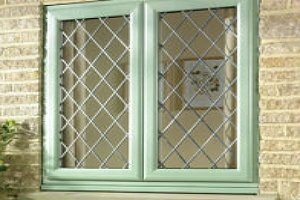 In its simplest form, it is just an extra layer of glazing fitted to the inner frame of a window. In most professional installations the glazing is mounted within its own outer frame and then fixed to the existing window frame. It really is a very simple solution. Major difference between replacement UPVC windows & Secondary double glazing. The biggest difference is that you do not need to replace the original window when fitting secondary glazing. With the minimum of inconvenience and mess, secondary glazing can be fitted to the average house within a day by a competent installation team. Replacement UPVC windows, on the other hand, not only require you to buy a complete new window unit, but will require the removal of the old units to fit the new one. There will also need to be some cosmetic work to the inside of the house around the window reveals. If you are replacing old timber Sash windows with UPVC Sash windows, the frames are likely to be a bit slimmer. This can mean, therefore, that there will be more cosmetic work needed on the inside of the window reveals to fill in the gaps (more info here). The cost difference between the 2 options can be quite considerable also. 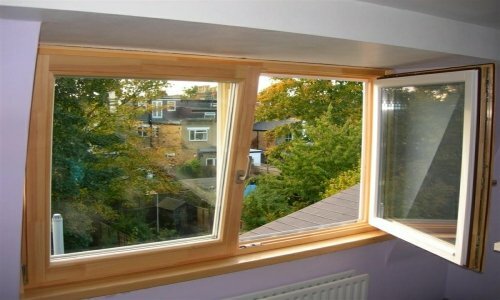 With a good level of DIY skill, it’s quite feasible to fit secondary glazing yourself. Clearly there are a number of factors at play in pricing. However, you can get secondary double glazing for under £100 for an average sized window, whereas a UPVC window of the same size could cost around £300 to £400. Replacement UPVC windows are purpose built to last a long time, be secure, reduce noise and be very energy efficient. The energy efficiency comes from the inherent insulating nature of UPVC, the chambered design of the frames and, most importantly, from the double glazed unit itself. 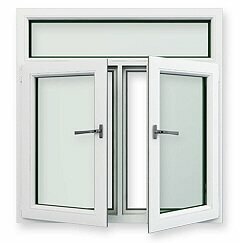 The double glazed unit is sealed and contains either a partial vacuum, dehydrated air or an inert gas such as Argon. 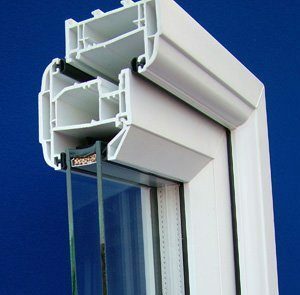 The sealed unit is the foundation of a UPVC replacement window and prevents condensation, provides the heat insulation and the noise reduction. With secondary double glazing, there is no airtight seal between the existing window and the new glazing. So whilst it does increase insulation, and reduce noise from the outside, the performance is not going to equal that of a good quality A++ rated UPVC window. There is virtually nothing to maintain on a UPVC window, just keep them clean and lubricate the moving parts yearly. With secondary double glazing you could experience condensation within the gap between the new and the old window. This will need to be attended to in order to stop damp patches. If you have timber external windows, then these will need to be looked after. Some modern secondary glazing is removable for cleaning. 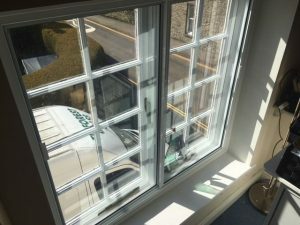 If you are in a situation where you are restricted from using replacement UPVC windows, then Secondary double glazing is a very good solution. You can get good levels of improved insulation and sound reduction. Also the external appearance of your property remains unaltered, whilst the internal visual change is minimal. Before you fit secondary glazing, make sure you “overhaul” the existing window. If there are no restrictions to using replacement UPVC windows in your property, then they represent excellent value for money. Modern UPVC window designs can match the existing visuals of your property. 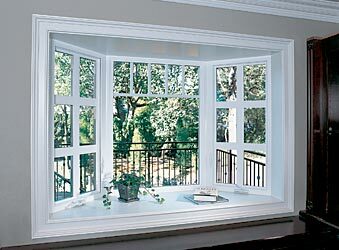 UPVC Sash window designs, in particular, have improved greatly over the last few years. There is, however, no contest when it comes to up-front cost. Buying secondary glazing is significantly less expensive than buying UPVC windows.